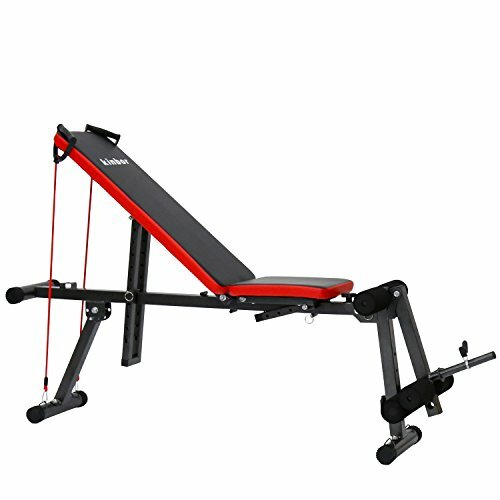 This is new Kinbor Sit up Bench, which makes work more effective, as well as adds strength and tone to the entire abdominal section. muscles and build the abs you want in less time. Welcome! High quality with competitive price can be realized here! -It comes with a pair of resistance bands which help in boosting your strength training. -Ideal for commercial, light institutional and home use. -Perform sit ups, twists and more.